Sometimes you feel like you should be able to get rid of your rubbish by yourself, but the fact of the matter is that it is rarely as simple as that. 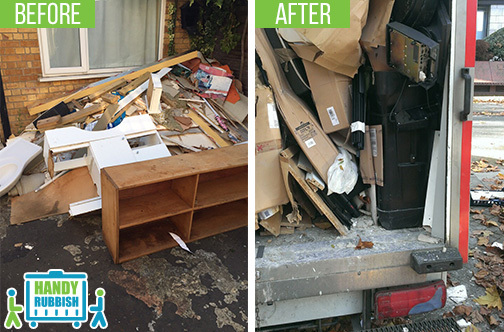 Having a great rubbish disposal service in Winchmore Hill will always be a better option. We know what it’s like. You find a weekend, look for booking a van, have a think about where to take things, and realise that you just don’t have time for all of that organization! Some people like to sell their junk on, but sometimes it is good to just get rid of it as soon as possible. Our N21 waste collection team can help you with the latter part. We have a very experienced Winchmore Hill waste disposal team who can provide amazing help with getting rid of your waste. At Handy Rubbish we believe in a job done well. We can be in and out without any fuss or bother. This includes cleaning up after us, so that you don’t have to. We know that you will always want to remove the element of risk from whatever you are paying for. Therefore, you should go for a team that has the experience to get the job done perfectly, every time. Call us today on 020 3540 8282 and we can start a conversation about how we can make your N21 rubbish removal in Winchmore Hill that little bit easier. We can make your rubbish clearance Н21 problems go away. We offer amazing value for money on all of our services. Whether you need to do a domestic clearance, or a commercial junk disposal, we can help. 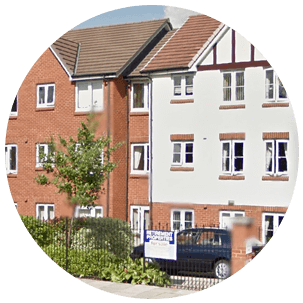 There are few things that we cannot get rid of, so why not get in touch with us immediately and find out how we can help you. We have amazing prices for most Winchmore Hill waste clearance jobs, to fit your budget. Making things work so that you are not inconvenienced is a big part of the way in which we do things. We can make your life that little bit easier by simply being punctual, working according to your schedules, and keeping our costs low. Whatever your Winchmore Hill waste disposal needs N21, give Handy Rubbish a call on 020 3540 8282 and we can give you a rundown of the services that we provide. We can give you free advice on how to go about your rubbish removal, and give you a quote as well. We know that you need great service on a range of junk removal jobs, and we can do them for you. Low-cost waste removal services that are guaranteed to get the job done; that’s what I experienced when I hired their team for my job in N21. They’re certainly the best company in Winchmore Hill! - Reviewed by Daniel R.
Winchmore Hill is in the north of Greater London, within the London Borough of Enfield. The area is a settlement built up around an old hamlet that was previously part of Edmonton. The region still has a certain amount of rural feeling about it, being developed around a village green. This green is called Winchmore Hill Green, which is surrounded by shops and restaurants, and forms a cultural and commercial centre for the area. Grovelands Park, a previously private estate, now contains the infamous Priory clinic, where many celebrities have undergone rehabilitation. The area is served by Winchmore Hill railway station, which connects via overground rail to the underground, meeting at Finsbury Park, Highbury and Islington, Old Street and Moorgate. For this reason, the region remains popular, despite not having easy access via tube. The nearest actual tube station is Southgate, though bus services around North London are frequent and easy, to make up for this lack of tube connections.